“While the relationship between trainer and whale can be beautiful, the overall situation—that of captivity—makes the orcas dysfunctional and dangerous.” Beneath the Surface: Killer Whales, SeaWorld, and the Truth Beyond Blackfish (Palgrave Macmillan, 2015). Former SeaWorld trainer John Hargrove gives a firsthand glimpse behind the curtain at SeaWorld. Kevin Schneider reviews. John Hargrove is unique. A former SeaWorld trainer turned SeaWorld critic, Hargrove is likely among the last humans who will ever be able to say they bonded with captive orcas and performed acrobatic stunts with them. Hargrove is proud of the years he spent at SeaWorld and of the relationships he built with the orcas there. But the message of Beneath the Surface: Killer Whales, SeaWorld, and the Truth Beyond Blackfish is clear: The relationship between orcas and people can be beautiful, but the condition of captivity makes orcas dysfunctional and dangerous, to themselves, each other, and us. Put short, captivity has got to go. SeaWorld has become the stage, fittingly, for one of the most dramatic debates about animal rights in recent memory. Over the last decade, scientific breakthroughs about wild orcas, combined with lessons learned from the orcas at SeaWorld, have made it painfully clear that orcas are exquisitely intelligent beings who suffer terribly in captivity. The documentary film Blackfish sparked a national conversation about the ethics of keeping orcas in captivity, and business just keeps get worse for SeaWorld since. Where David Kirby’s Death at SeaWorld took a journalistic approach to the issue, Beneath the Surface gives the reader a behind-the-curtains look at what it’s really like to work with captive orcas. Hargrove pulls no punches about his former employer, calling out SeaWorld for outright lies in its public relations, in particular the claim that it never removes orca calves from their mothers (see Hargrove in a recent interview on The Daily Show with Jon Stewart). Beneath the Surface pays special attention to SeaWorld’s captive breeding program, which truly is tragic. One of the most jarring and fascinating tidbits from the book: as part of its artificial insemination strategy, SeaWorld has trained at least one male orca to reach an erection and ejaculate into a bag – which he does without any physical manipulation whatsoever. This says as much about human greed as it does about the depths of orca consciousness. After all, this level of mind-body control would seem beyond the ken of all but the most meditative humans. Stories like this drive home the point that there really is no such thing as orca captivity, only orca slavery. 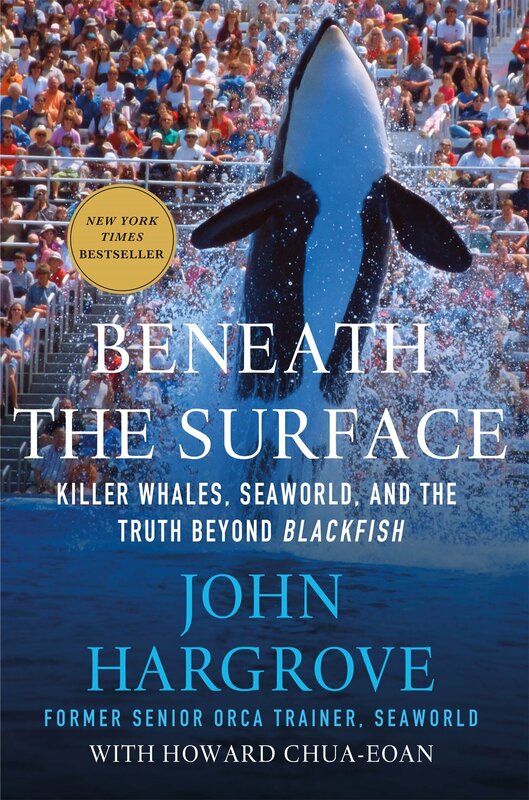 Not one to sit back and take a punch, SeaWorld has struck back at Hargrove, publishing a website called “The Real John Hargrove” seeking to discredit Hargrove as an attention-hungry opportunist bending the truth of orca captivity to sell books. Among other things, the website features a disturbing cellphone video of Hargrove going on an extended racist tirade. Is Hargrove taking advantage of a unique historical moment? Yes. 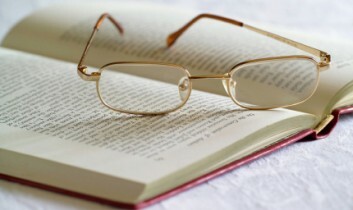 Is he trying to sell books? Absolutely. But having read Beneath the Surface I believe that Hargrove has a genuine need to make a difference for the orcas trapped at SeaWorld. Whatever the content of Hargrove’s character, or even his motivations for writing Beneath the Surface, SeaWorld doesn’t offer any serious refutation of his most “scandalous” claims, including food deprivation, calf separation, and incidents of orca aggression going unreported. Because it can’t. Fortunately, people are getting the message. Hargrove tells of celebrities, musicians, and companies cutting ties with SeaWorld in droves in the wake of Blackfish, and legislatures around the country introducing bills to prohibit orca captivity in their states (even if these are largely symbolic victories, in states with no marine parks or plans to build them, the message counts for a lot). So what’s next? Orca captivity has clearly got to go, and captive breeding ended for good. As is often the case when we talk about expanding animal rights, there are major practical considerations. Simply put, where will SeaWorld’s thirty or so captive orcas go, and who will pay for it? At this point, the consensus is that sea pens – fenced off areas of coastal ocean – represent the best chance for SeaWorld’s orcas to live some semblance of a decent life. Jane Goodall, giant of the animal rights movement, recently stated publicly that SeaWorld should be shut down. That is a sentiment that many, justifiably, share, and one that may soon come to fruition if things keep going the way they are. But, as Hargrove points out, that could be throwing the captive orca out with the bathwater. Imagine, by some stroke of luck, a law is passed tomorrow banning orca captivity throughout the country. If SeaWorld could no longer confine its orcas – and no longer profit off of them – who would care for them? SeaWorld has already gone on record stating that, should orca captivity become illegal, it cannot be held responsible for continuing to care for them, even suggesting that the government (that is, us) should be on the hook to pay for it. It is unclear if SeaWorld could be required to pay for sanctuary, and until that’s established it only makes sense to keep them in the game. After all, the company owes a moral debt to the orcas it forced into this world for profit, and should put its army of resources to work for them. Given our track record, it’s not unreasonable to ask whether, for a species, being on the human radar is a path to subjugation, if not total extinction (the Great White Rhino is the latest in a long list). As the saying goes, I hope there is a creature in the world that nobody has ever seen, and I hope nobody ever sees her. For the orcas of SeaWorld, they will forever be trapped somewhere between the orca world and the human. So, how do we turn the horror of captivity into something better? 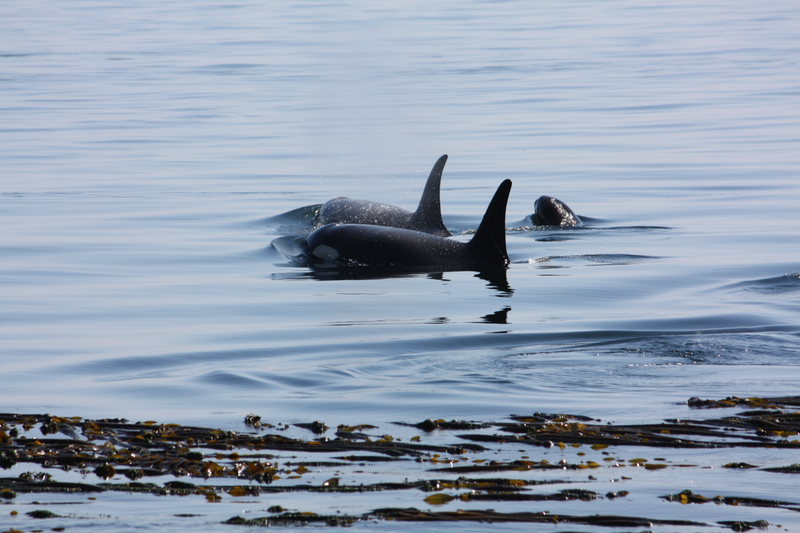 How do we funnel our fascination with orcas into channels that sustain them, not consume them? That is the challenge for the next wave of orca advocates. It won’t be a straight line, but the road to rights never is. Kevin Schneider is an animal advocate/attorney based in New York City. He has worked with several leading animal rights nonprofits including Mercy For Animals, the Animal Legal Defense Fund, and the Nonhuman Rights Project. 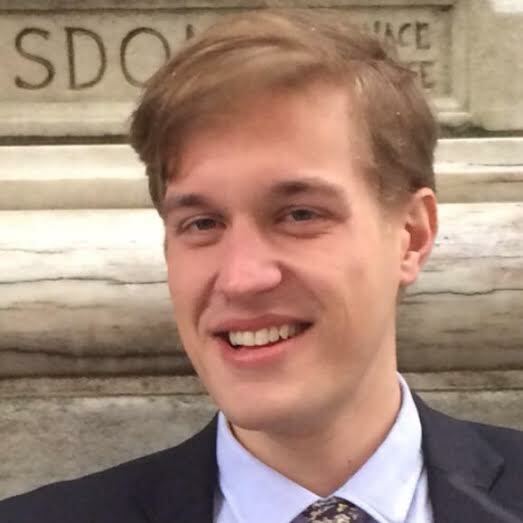 Kevin is currently practicing consumer protection law, with a focus on environmental and animal welfare product claims, as well as working with a number of startups.